You want a hunting knife or tool that is comfortable, made from high-quality materials, and easy to control. 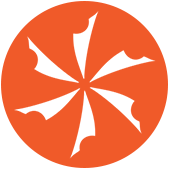 Knife Center makes the choice easy - check out our collection of popular and highly rated brands and models that will help you make the most of your next hunt. From hunting multi-tools to flashlights to first aid kits, we’ve got what you need here. Every hunter's trusty companion, the hunting knife is useful for everything from preparing your meals to dressing your kill. Here is a list of economy models. Also try our tactical knives. All the usefulness of a full sized hunting knife in an easily portable folding pocketknife form. Bushcrafting knives are designed with comfortable handles for prolonged use and utility blade shapes which are good for all sorts of cutting tasks. Multi-tools are an indispensible tool on the hunt for their stout, durable designs and array of duty specific useful tools. These skinning knives are designed to make skinning your kill a breeze. Also see our gut hook knives, which make it easier to gut your kill without piercing vital organs. Lightweight and effective, these replaceable blade hunters pack enough skinning power for any animal – with no sharpening needed. Whatever reason you have for being in the woods, you need something to carry your gear in. With backpacks and bags from Maxpedition and Blackhawk, we have you covered. Ever hauled a tree stand on your back up 20 feet of sketchy ladder? It's no backyard barbeque. That's why expert hunter, Russ Kommer designed the patented Hoist'N Lok. Fishing has become synonymous with relaxation. These fishing knives make your fish preparation as effortless and simple as your time waiting for the fish to bite. We have a large selection of knives, multi-tools, sharpeners, and accessories to help you out on the water or in the kitchen. Whether it's tracking down prey or navigating unfamiliar terrain, you're sure to find the flashlight that suits your needs here. These kits range from simple skinning kits to portable butcher sets, allowing you to easily dress your kill in the field. Hobo knives combine more than one utensil into a compact package perfect for eating on the go. These axes are great for splitting logs for the fire, and for clearing fallen trees. Many of them pack the power of a larger axe into a smaller size for portability. During down time at base camp, these lanterns will help keep the darkness at bay. We carry an amazing assortment. Whether forging your way through the Amazon or the woods in your backyard, machetes are the go-to tool for clearing brush from your path. From cutting apart fallen tree limbs as fuel for the fire to cutting through bones while dressing the kill, a saw is a vital part of any hunting expedition. Necessary for digging fire pits and latrines, the shovel is an indispensable part of experiencing the outdoors. Pruners are designed for cutting small branches, but are also great for cutting through small bones. These are some of the best scissors available - including the top scissors for outdoor performance and bird hunting. For everyone concerned with personal safety and security; you can now protect yourself with safe, humane, and effective personal defense devices. Wherever you are, you need something to keep your knives sharp. These sharpeners fit in your pocket. Also try our pull through sharpeners. The issue of soggy and illegible paperwork that has plagued survival professionals for decades is no more with this brand of waterproof paper and outdoor products. Almost everyone, from small children to seniors, can benefit from the security that a whistle provides. KnifeCenter has a variety of slingshots designed to provide a sleek, compact, lightweight, and efficient hunting unit that can be easily carried in a backpack, bug out bag or even on your belt. Increasingly popular with outdoorsmen, we offer a great variety of spears for survival and hunting. 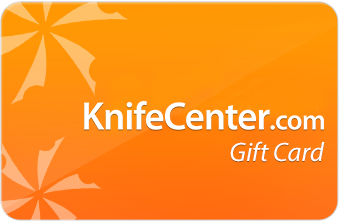 The KnifeCenter offers a great selection of throwing knives and hatchets as well as some instruction books. Most are very reasonably priced and a lot of fun.